Online Reviews are the new word of mouth. Thanks to sites like Yelp, Urban Spoon, Google, etc. it is now easier than ever to voice your opinion for all the world to see. I don't know if I have mentioned this before but I am a MAGNET for bad service. If I got all my friends in one place the stories would go on for hours of experiences they have had with me at the hands of a bad server. 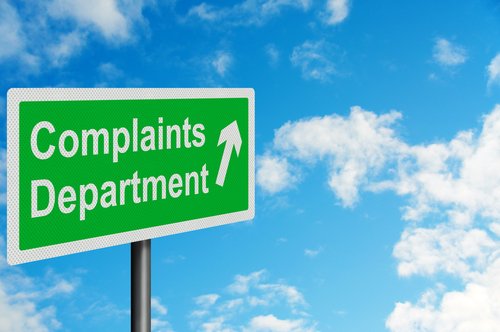 So, I will be first to say-I have written or called more than my fair share of complaints in. Some have been good and worth it (thank you Delta...they dont mess around), others not so much, may they die a slow fiery death. I have spent time writing about what to do with a negative review as a business owner, but I wanted to chat a bit about why even though you can go online and blast businesses for their wrongdoing, you may want to rethink that. My company spends time working with different businesses on their social media. Sure, a Facebook presence is important but there is an exciting online review new world out there that needs to be monitored. Urban Spoon has a steady stream of new reviews in my area and I think that people are finally getting in on the Yelp train...I definitely notice an increase in traffic. 1 Ask to speak to the manager-it happens, you get a bad server, your food comes out bad, the check out lady is rude to you...a good manager will acknowledge your complaint or concern and address it without being defensive. They should do whatever they can to rectify the situation to the best of his or her ability. Review away if the manager is defensive, argues with you while you are discussing the issue or does not offer some sort of compensation for your time and trouble. 2. Send them an email- If you are not a big fan of confrontation, you can find the company's email, send them a detailed email of your complaint. This may also provide therapeutic for you to give you some time to simmer down. Be kind and keep the drama out of it. It is an issue the manager has to address with the staff, and that puts them responsible, but not at fault. In the email, tell them you look forward to hearing back from them on how they plan on making this right for you. That leaves the door open for resolution. 3. Call the corporate office-If you are having an issue with a national brand, dealing locally may not be enough. I will say that some brands don't really have this nailed down. One time I had an issue with a manager at an Italian chain...so I wrote my thoughts to their corporate website and guess what their policy is? To have the manager of the restaurant address it, they forwarded my email to the guy I had an issue with. Because that was a fun phone call as he was defensive and argumentative over every issue I had. Know that you take your chances when you take it to a corporate level. I have also been told that the businesses are franchised and individually owned and there isn't too much at a corporate level can do. To me, if your name is on the door...you as the brand has to hold some sort of responsibility. So what have we learned today, besides the fact that I wasn't lying about the many times I have had to address a bad customer service issue? Be kind, be honest do what you can to address it with the proper channels and if all else fails, go nuts on your online resources! If your issue cant be resolved, at least you can prevent someone else from making the same mistake. A quick sidenote, if the manager sees the online review and contacts you with resolution options, the proper thing to do is to take down your review and applaud the business for its excellent customer service. Do you have a good or bad customer service resolution? Great advice on complaints. This will be valuable to a lot of people! Thank you Kathy! Love your blog!